What fun we had in Brick Lane on Sunday! Thank you all so much for coming to support a great cause- Destination Education who are working to provide factual, open clarity for us all on the situation in Egypt! Honoured to be a part of this and grateful to those who were open to adventure and expression! Big kiss! 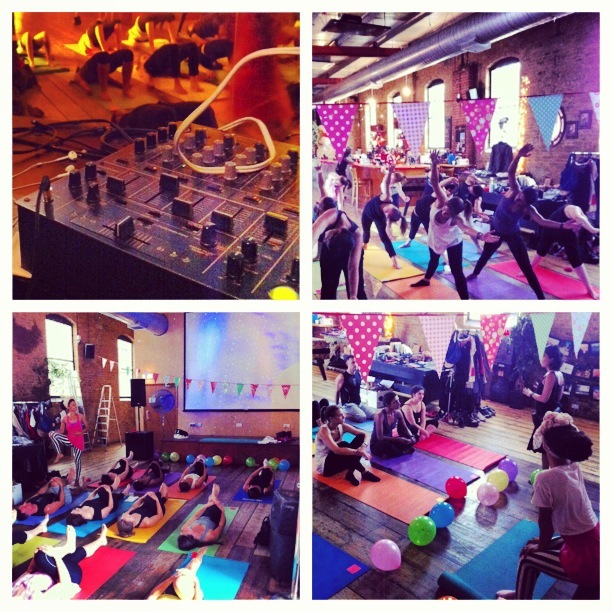 For deets on the next Yoga Disco, head here! This entry was posted in workshops & events, Yoga Disco and tagged brick lane, destination education, east london, egypt, London, yoga, Yoga Disco. Bookmark the permalink.